cabinets and counter tops, and granite flooring in bathroom. Two bedroom, one bath townhouses currently available. Includes dining room and laundry room. 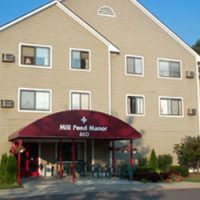 Amenities include: washer, dryer, dishwasher, microwave, fridge, stove, free heat, and water. Private entrances, new kitchens/baths, great school district, cable/Internet ready, and 2 vehicle parking per town-home.